Benchmarks are set when the seca experience and passion for precision meet body analysis. 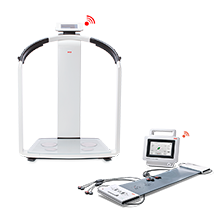 The results are the seca medical Body Composition Analyzer, or seca mBCA for short. Valid and precise data that can be used in the medical field. Extremely short analysis time. Easy use. Reliable and economical. 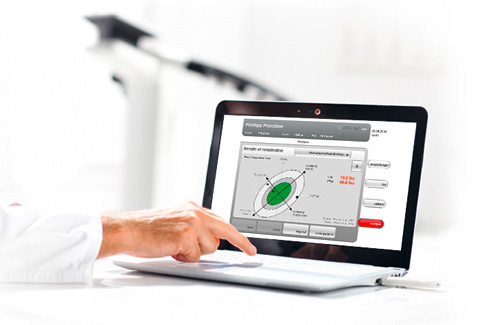 Work even more efficiently, precisely, quickly and offer your patients more - starting now. 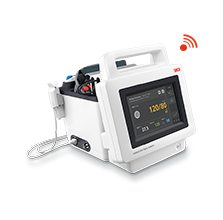 The seca mVSA 535 is the world's first spot-check monitor that combines the conventional measurement of vital signs with a bioelectrical impedance analysis (BIA). In one step you can measure. seca 336 i - the new EMR ready baby scale. The precise baby scale seca 336 i with digital measuring rod is technically equipped to meet users' ever-increasing demands. The EMR ready scale transmits weight and length directly into the EMR (Electronic Medical Record) and thus eliminates manual transcription errors. 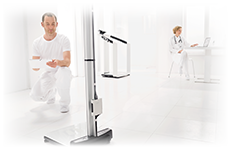 With routine work simplified by integrated Wi-Fi technology, the digital measuring rod and the possibility of user and patient identification, medical staff have more time to care for the little patients.